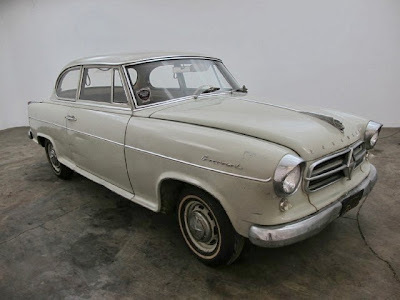 Just A Car Geek: 1963 Borgward Isabella - Too Much Competition For The Neue Klasse? 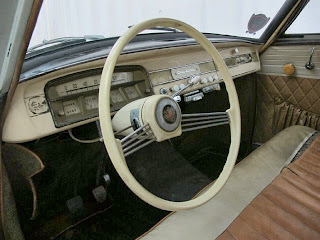 1963 Borgward Isabella - Too Much Competition For The Neue Klasse? Introduced in 1954 (and originally called the Hansa 1500), the Isabella was stylish, modern, and, after Borgward corrected a few flaws on the early cars, well built. 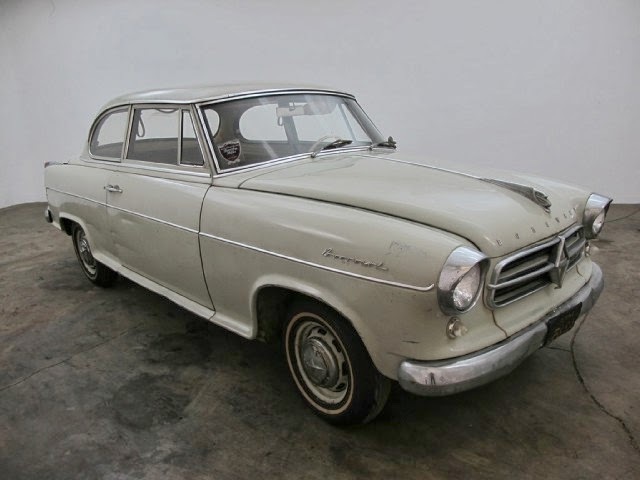 It was a successful car for the German Borgward brand. They sold over 200,000 of them. In Germany, the Isabella was priced higher than sedans from Opel and Ford, but lower than a Mercedes-Benz 180. In the US, where it was briefly sold, it was a "middle class" German car, a niche that didn't really develop here for another couple of decades. It was far more expensive and much, much better equipped than a VW, but cheaper than a Mercedes. At one point, dealers in the US had ordered over 9000 cars, but the US distributor ran into financial problems and most of those orders were cancelled. Unsold cars remained on the lot at Borgward's factory and things started to unravel quickly. In 1961, despite Carl Borgward's insistence that his company was solvent, his creditors forced the company into bankruptcy. As the bankruptcy process moved forward, his creditors were paid in full and they soon learned that Borgward was actually in the black. The bankruptcy was - and remains - controversial. It was handled by Johannes Semler, who was chairman of the board at BMW at the time. BMW was just about to introduce the 1500 (Neue Klasse cars), a car that filled a similar niche as the Isabella. After the bankruptcy, many of the key Borgward personnel went to work for BMW. Hmmm... The Borgward factory was taken over by Mercedes Benz and is still in use today. The Borgward production line was sold and shipped to a Mexican firm which produced some Borgward cars in the mid-to-late sixties. The Isabella wasn't one of them. There is not a lot written about this car. 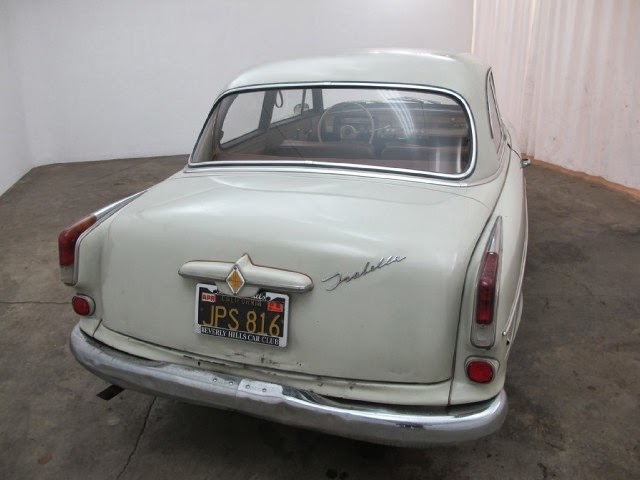 It appears to have been in California since new (or for a very long time) and looks to be remarkably rust free. The seller states that the engine "freely turns by had." I have to assume that means it doesn't run, or no one has tried to start it. Parts, as you can imagine, are not easy to get, but there are several owner's clubs (worldwide) that can help you out. Located in Beverly Hills, CA, click here to see the eBay listing. My parents has a Borgward station wagon and loved it. Compared to their Sunbeam Rapier or MG TC it was just a higher standard of build quality. When they eventually replaced it, they were too addicted to the solidity of the Borgward -and after trying a 1967 Mustang there was no way it was sturdy feeling enough . A red Volvo 122s 2-door was the winner for them. We kept that car in the family for. 32 years.